I think she was beautiful. 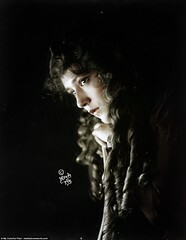 So, as legend has it, did D. W. Griffith who said she resembled Lillian Gish so much that he couldn’t use her in a film with his beatific blonde muse. While the perception of beauty is a matter of personal taste, talent can be evaluated objectively, and in ZaSu Pitts it was unquestionable. Erich von Stroheim called her the screen’s greatest tragedienne and gave her the lead in his greatest film. I recall a mid-seventies college screening of Greed. The film was introduced as starring ZaSu Pitts, which elicited laughter from many in the audience, including me: I was only vaguely familiar with the name as a punch line to jokes by late-night TV comedians. 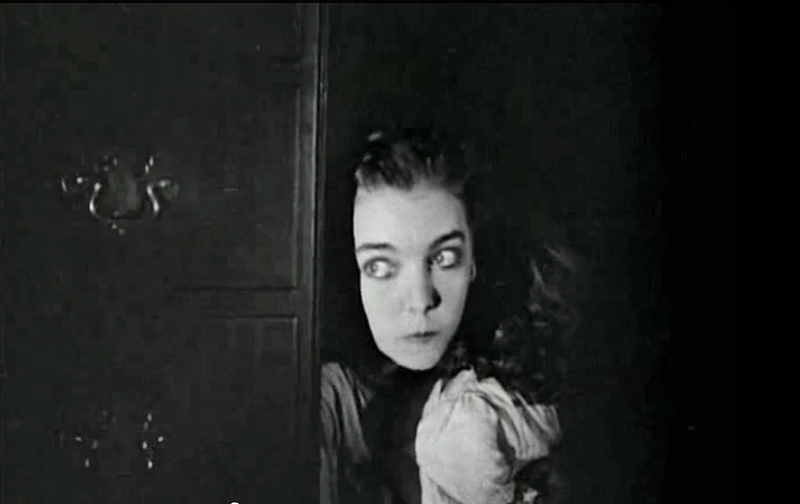 Upon her first appearance in the film, someone behind me shouted jokingly, “She’s no Lillian Gish!” No, she wasn’t. Her dramatic work in Greed (1925) and Stroheim’s The Wedding March (1928), combined with her comedic genius in the remaining four decades of her career, demonstrates that she had greater range than Miss Gish. As Lillian herself once said, “I”m about as funny as a barrel of dead babies!” And in that auditorium that afternoon, ZaSu Pitts as Trina in Greed was to me a revelation quite unexpected. But we always return to the “funny” name, appropriate for a comedienne, less so for a tragedienne. 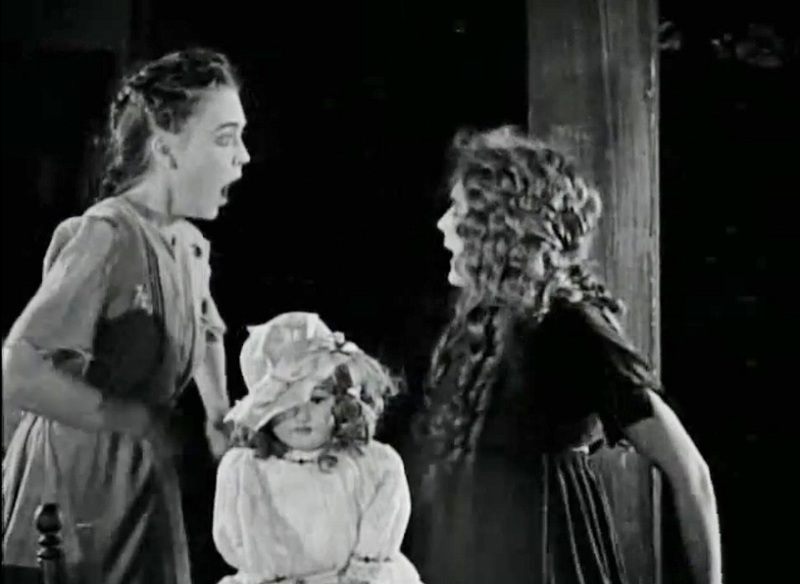 Her film mentor, Mary Pickford, warned her that people would invariably mispronounce it. Pitts would remind everyone, futilely, that it was “Say-Zoo.” But the spelling — an amalgamation of the first and last syllables of the names of her two aunts, Eliza and Susan — didn’t help in a popular culture still dominated by the printed word. Rather than a mere nickname, as many secondary sources state or imply, ZaSu appears to have been her legal first name. Not surprisingly, census-takers struggled with it — repeatedly. 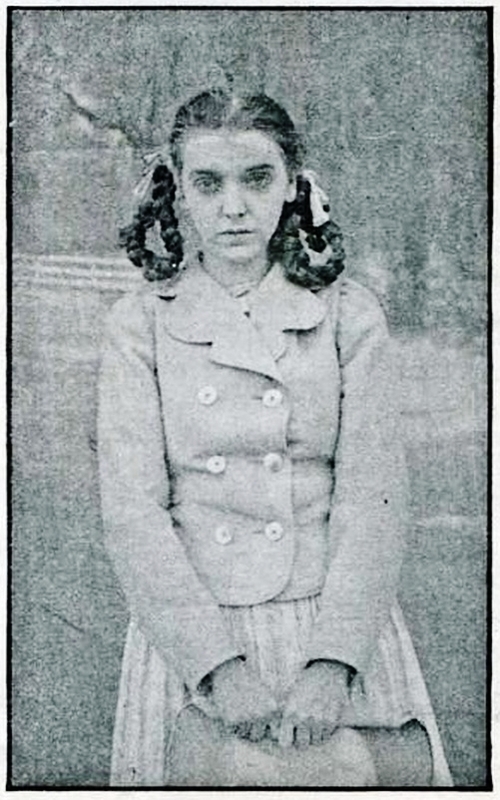 Public records show that she was born in Parsons, Labette County, Kansas in 1894 to Rulandus and Nelly Pitts. The 1895 Kansas state census records her simply as “Z Pitts,” age one, the next to last child of five born to the Pitts family, four of whom survived. The 1895 state census gives her birth month as March; she gave January 3 as her birthday throughout her life. However, her stated birth year moved forward — 1897, 1898, 1900, 1901, 1903 — as the years passed. In 1902, the family moved to Santa Cruz, California, where Rulandus died at age 71 in February, 1908. The 1910 U. S. Census records the widow Nelly and her children, including “Zasu,” age 15, living in a rented house on Lincoln Street in Santa Cruz, supported by Nelly subletting rooms to boarders. Although not recorded in the census, she was undoubtedly receiving a Civil War widow’s pension — for which she had applied in the month following her husband’s death — as well. Having displayed a talent for performing in high school and community theater in Santa Cruz, ZaSu, now 20, went to Hollywood. 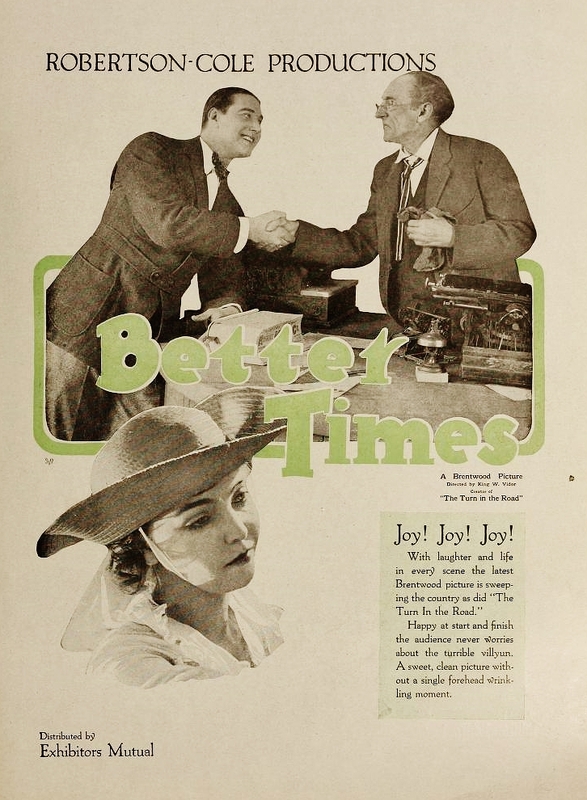 She spent several years working in bits, then was hired by Universal where she appeared in a half-dozen comedy shorts directed by William Beaudine. In 1917 Universal loaned Pitts to Artcraft, a production unit of Paramount-Famous Players, where she had the good fortune to be noticed by Frances Marion, legendary screen writer. Marion was also the best friend of the most popular actress on the planet and the most powerful woman in Hollywood: Mary Pickford. 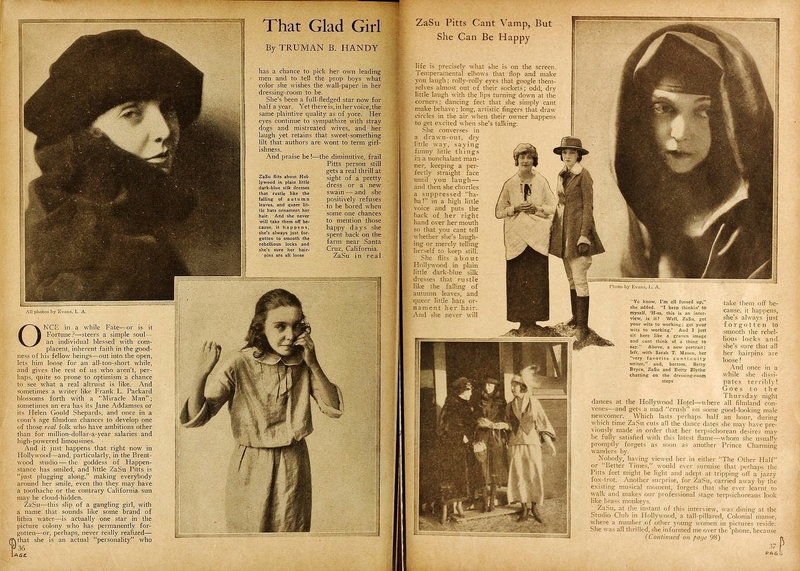 The Little Princess was a major hit for Pickford and put Pitts’ beautifully unusual face prominently on the pages of movie fan magazines. 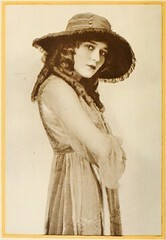 Though her work in the Universal single reel comedies had given her an identity The Moving Picture World called “eccentric comedienne, Pitts’ success in A Little Princess brought a series of lead and featured character roles for the next three years, including another Pickford feature, now lost, How Could You Jean? 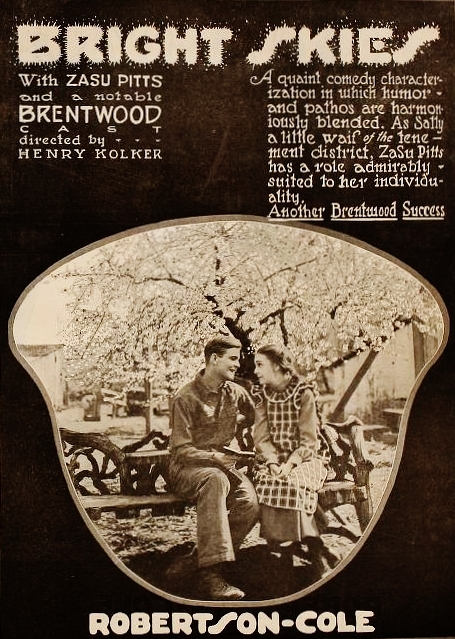 (1918, directed by William Desmond Taylor), and the independent production Bright Skies (1920, directed by the stage star and future film character actor Henry Kolker), which became a typical for the period Pitts film, a small-town or rural comedy-drama. 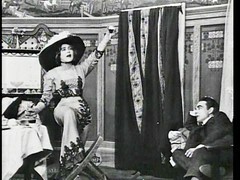 Bright Skies paired Pitts opposite future husband Tom Gallery (the couple married shortly after the film was released). Most notable during this early part of her career were several films she made with the legendary American filmmaker King Vidor early in his monumental career. Beginning with Better Times, Pitts made three consecutive features with Vidor in 1919, including The Other Half and Poor Relations. Vidor and his wife, the actress Florence Vidor (who also appeared in The Other Half), stood as witnesses for the marriage of ZaSu Pitts and Tom Gallery in 1920. 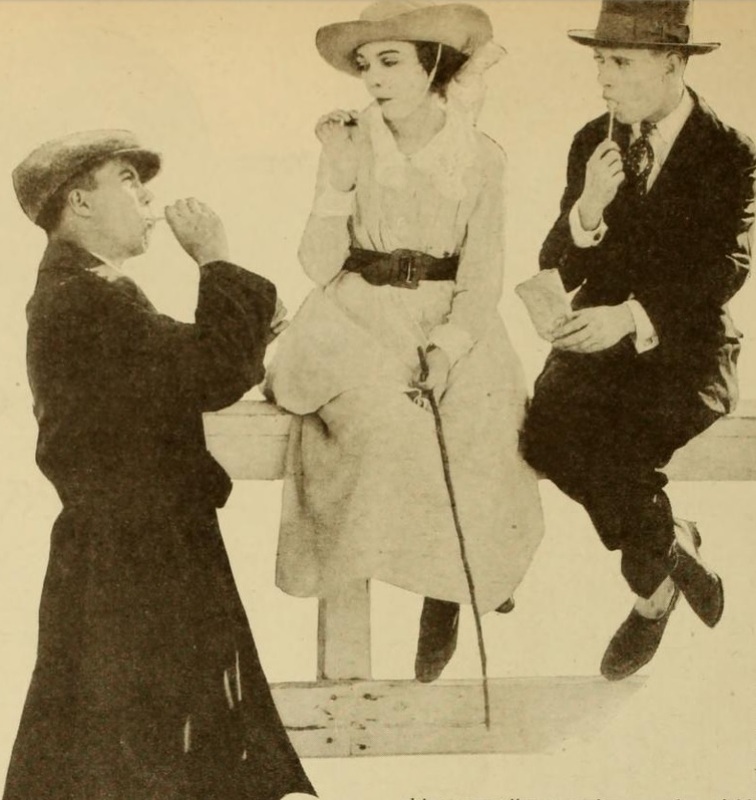 Above, King Vidor instructs ZaSu Pitts and David Butler as to the proper method of consuming a lollipop in a scene from Better Times (1919). 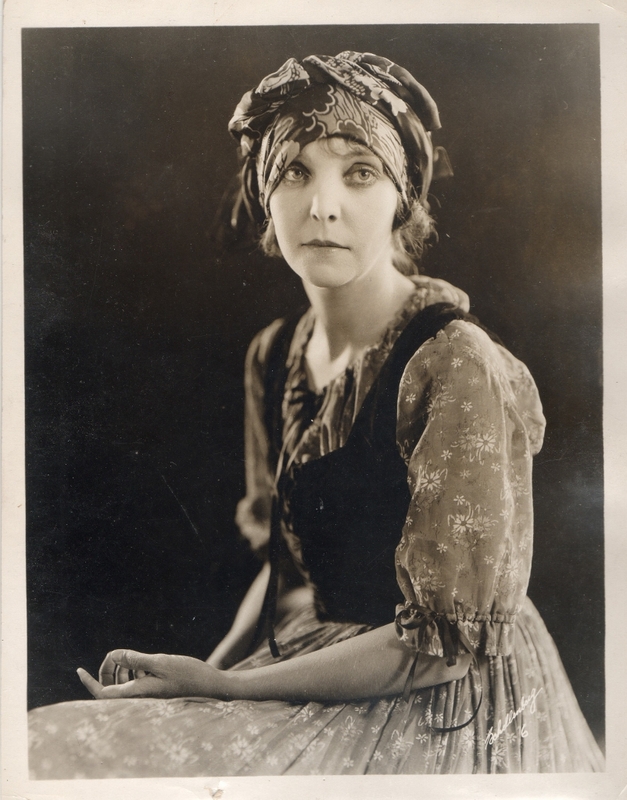 ZaSu Pitts described herself as one of the few people to have worked with “the big three, Mary Pickford, Douglas Fairbanks and Charlie Chaplin,” as she told Photoplay Magazine in 1919. 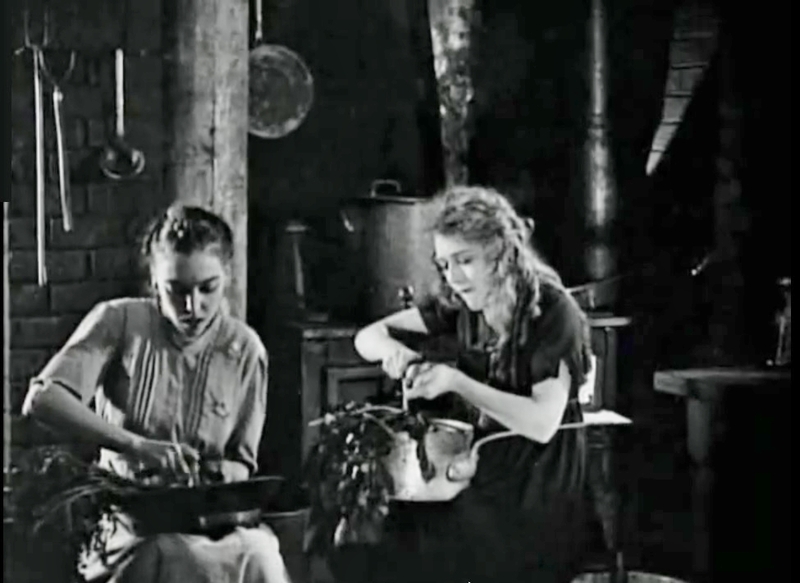 However, her work with Fairbanks was limited to a bit part in A Modern Musketeer,(1917, dir. Allan Dwan), and her footage with Chaplin — if any was actually shot — never made the screen. 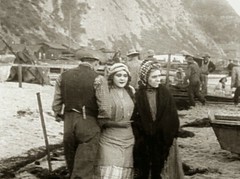 She suffered a similar fate with D. W. Griffith when her scenes in his war-time drama, The Greatest Thing In Life (1918), were edited from the final cut. It is tempting to believe the Lillian Gish-lookalike story, though I’ve seen no direct evidence to support it from either Griffith or Gish. 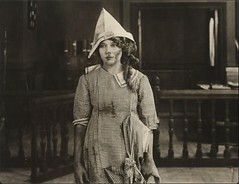 What is quite evident, however, is that her work with filmmakers as notable and as critical to the development of film in the 1910s as Pickford, Fairbanks, Chaplin, Griffith, Dwan and Vidor had so bolstered her reputation within the industry that by 1923 when Erich von Stroheim was planning his adaptation of Frank Norris’ masterpiece of American Realism, McTeague, the film production that became Greed, the first name on his mind for part of miserly Trina was the “eccentric” comedienne and unexpected tragedienne ZaSu Pitts. 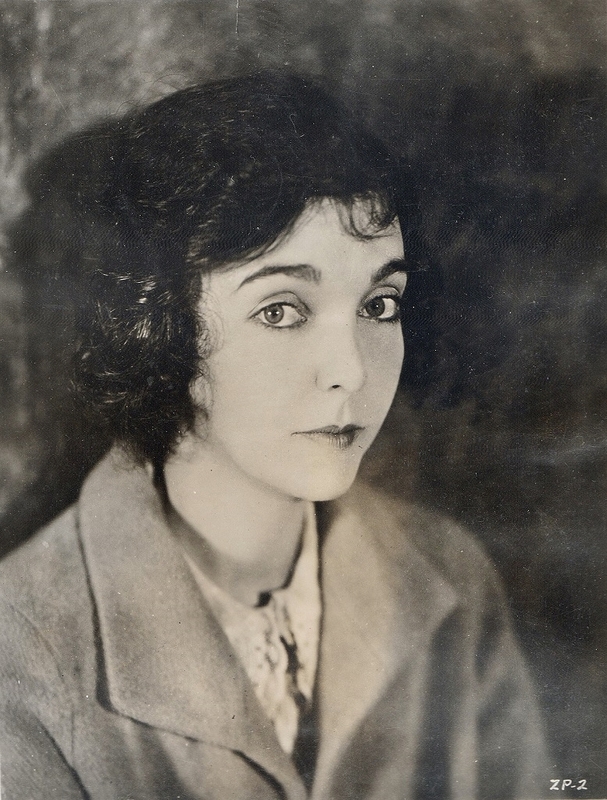 A thoroughly documented biographical sketch of the life and career of ZaSu Pitts may be found at wikipedia.org. Although I have not read them, there are two recent biographies of ZaSu Pitts: “ZaSu Pitts: The Life and Career,” by Charles Stumpf (McFarland, 2010), and “Hands with a Heart: The Personal Biography of Actress ZaSu Pitts,” by Gayle D. Haffner (Outskirts Press, 2011). 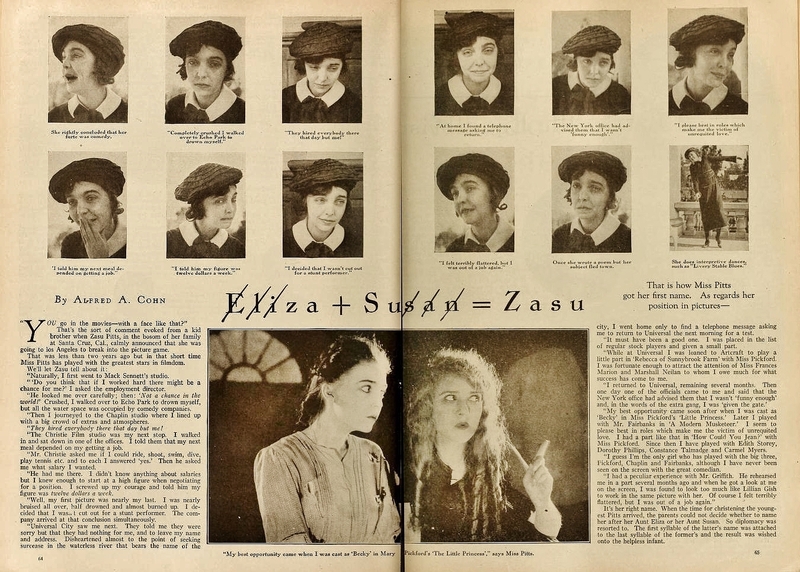 Kansas State Census, 1895, and U. S. Census, 1900, 1910 via Ancestry.com; Photoplay Magazine, Motion Picture Magazine, Motion Picture News via Media History Digital Library; photos of Zasu Pitts: 1925 MGM publicity photo and 1929 studio portrait (immediately below) from the author’s collection. 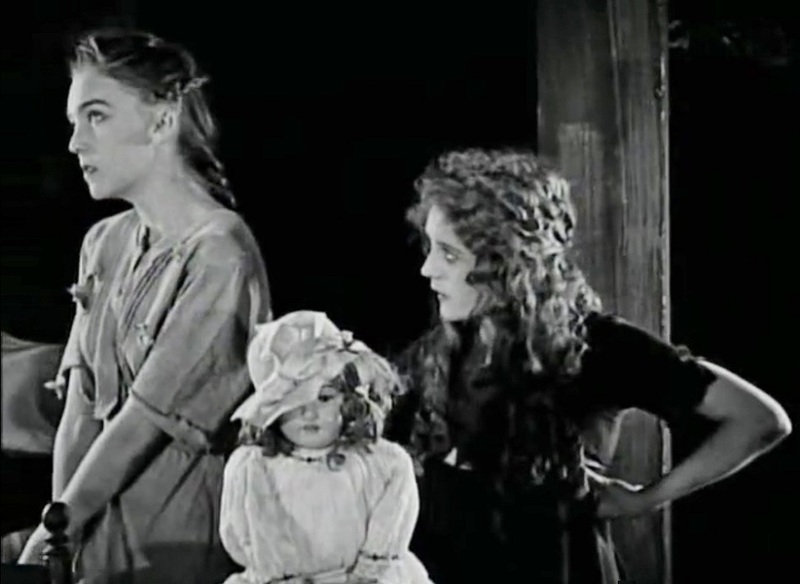 Excerpts from The Little Princess featuring scenes with Mary Pickford and ZaSu Pitts (from which the still frames here were made), as well as the entire film, can be found on YouTube, in excellent quality.